The dangers of synthetic marijuana outweigh the benefit of being able to pass your next drug test. Imagine we could take a time machine back to before the political scene was so ridiculous. I'm not talking about a Trump and Clinton election, but rather the short-winded feud of the Obama/Romney election. Who could forget Romney? America's favorite handsome Republican nominee named after an important piece of baseball equipment. Romney, being the quintessential poster boy for American progress, had quite the stance on the evils of marijuana. In an attempt to argue against the advent of medical marijuana, Romney had only this to say: "People talk about medicinal marijuana. And you know, you hear that story that people who are sick need medicinal marijuana. "But marijuana is the entry drug for people trying to get kids hooked on drugs. I don't want medicinal marijuana; there are synthetic forms of marijuana that are available for people who need it for prescription. Don't open the doorway to medicinal marijuana." Now, Romney's appeal to emotion focuses on the dangers marijuana presents to the youth. After all, weed is the one main gateway drug we have to focus on. As Romney states, "there are synthetic forms of marijuana" available. It would be stupid for us not to take advantage of these synthetic forms, right? There are some holes in Romney's logic. Big holes. Synthetic marijuana (also known as "K2 spice" and a litany of other cartoonish names) is a compound usually sold as a mixture labeled "not safe for human consumption" and passed off as incense. The existence of synthetic marijuana is a response to the illegality of marijuana and psychedelics in the Western world. The psychoactive components of the synthetic marijuana act by mimicking the structure of the cannabinoid receptors that naturally occur in the brain. The effective ingredients of the drug are referred to as artificial "agonists," and these agonists can deliver a more potent and extreme high to the user. To sum it up, synthetic marijuana is about as close to marijuana as a tofu dog is to a hotdog. Except with K2 spice, instead of looking like a boring twenty-something who's trying to appease his vegetarian friends at a summer backyard barbecue, you could end up going insane. Seriously—synthetic marijuana is not something to take lightly. The so-called second coming of the spice trade started up in the West in the late 2000s, and its onslaught has prompted some extreme concerns surrounding the effects and usage of this illusive weed impostor. It seems that people are always looking for a way to get past the system. If the authorities build a ten-foot wall, then the people will respond with 11-foot ladders. The penalties on marijuana and other drug possession are archaic in their essence. In all fairness, marijuana legalization and the weed industry have made great strides in recent years, but there are still people who are quick to speak out against this progress. This drumming up of anti-marijuana propaganda provides the perfect environment for the world of marijuana substitutes to flourish. While drugs like K2 spice, kratom, and salvia can all be purchased legally in various American cities, marijuana has yet to get legal recognition in more than four states. The harsh restriction of marijuana and other psychedelics pushes the demand for drugs that invoke similar experiences. Most brands of synthetic marijuana can be easily purchased on the internet, as they are sold inconspicuously as potpourri or incense. Head shops and various other legal paraphernalia shopping locations can't seem to get their supply of spice off their hands quick enough, and will even go as far as giving the confusing concoctions away for free with water pipe purchases. The problem with this ease of acquisition is the audience that it targets. While I hate to use Romney's "think about the children" sentiment, it's not hard by any means for a curious teenager to get their hands on a bag of "scooby snax" potpourri. Another selling point for synthetic marijuana besides its convenient availability is its ridiculously low price. At five to ten dollars for a five-ounce bag of synthetic marijuana, it costs nearly 1/100 of the amount of natural cannabis. "Victims" of the adverse effects of synthetic marijuana are minors who decide to imbibe themselves by smoking a bowl of "scooby snax" in their local park as if it were just like any unassuming strain of natural weed. There are countless stories of teenagers smoking the spice and then experiencing a drug-induced waltz around town, much to the dismay of unknowing civilians. Like—Zoinks, Scoobs—I don't think this is weed. Jinkies indeed. Unfortunately, not much is known about the chemical effects of synthetic marijuana. Science is behind the times with their ability to study the usage and consequences of many mysterious drugs and psychedelics (thanks to bureaucratic clearance procedures). As stated in the introduction, it is understood that K2 spice functions by mimicking cannabinoid receptors in the brain. Our reaction to smoking natural marijuana is almost completely endogenous, as the receptors for the herb exist naturally in our brains. Synthetic marijuana creates an analog of these receptors and force-activates commotion in this area of the brain, inducing an involuntary response. The spectrum of distinct reactions to the drug is rather large, ranging from weirdly euphoric to unwelcome and horrific. Most users experience the latter, as they are jettisoned into a hellish psychedelic drug-scape after smoking even a small amount of the stuff. This unfavorable reaction to the drug renders most first-time users as one-time users, as they are warded away from the shadowy world of spice altogether. Longterm effects are unknown with the advent of synthetic marijuana being so new. Most of the current users are guinea pigs for the foundation of spice. Short term effects leave the user erratic and unpredictable. Emergency room visits are becoming a common, unintentional consequence of the drug. During one week in the spring of 2015, over 120 users visited a New York City emergency room thanks to synthetic marijuana. Some people use the drug because they are being drug tested through their career or as terms of their probation, but still seek out the marijuana high. In certain cases the drug has been shown to deliver false positives for PCP in drug tests, leading the spice users to fail miserably. Like PCP, synthetic marijuana has been known to deliver a psychotic experience to the user. But the dangers of synthetic marijuana have more serious effects. 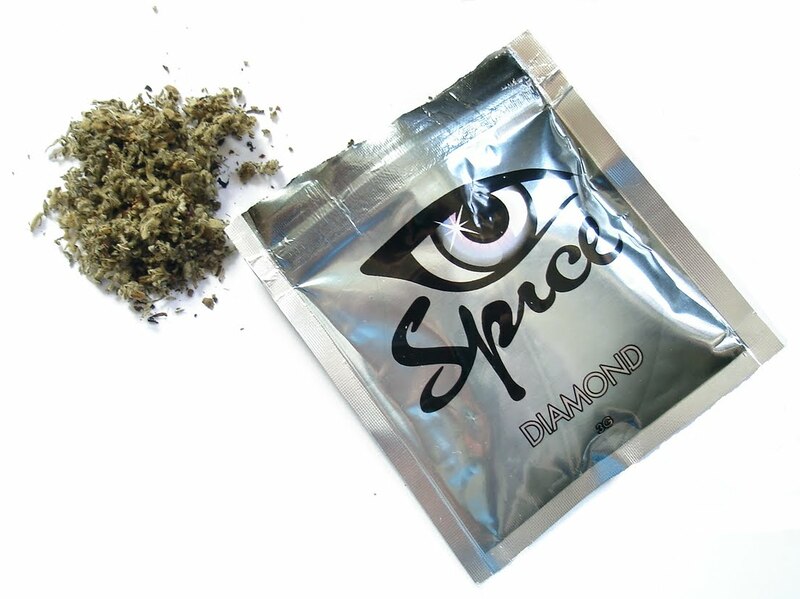 Visual and auditory hallucinations, impending feelings of doom, psychotic episodes, and aggressive outbursts have all been frequent experiences shared by K2 spice users. People with low-level anxiety and depression have reported an increase in their symptoms after taking the drug, leading to suicidal thoughts and manic behavior. Despite the negative reviews and dangers of synthetic marijuana, some people seek out the seemingly cruel and over-the-top effects of the drugs to the point of developing psychological addictions. The most extreme reactions that have proven the dangers of synthetic marijuana include seizures, cardiac arrest, organ failure, and even death. Users have no idea what they are getting into when they pair spice with other drugs or alcohol. We get it, you're America's next Hunter S. Thompson and you're ready to plow through the doors of perception and conquer the dragon that is synthetic marijuana. To put it bluntly—I think we can all agree that you have no idea what you're getting into. The best way to approach this drug is with calm intellect and rationality. Do you need or desire the experience of a psychotic episode? Are you confident in the strength of your organs withstanding the pressures of an unnatural agonist? The most infuriating thing about synthetic marijuana is that someone out there had the gall to even refer to this demonic portal as marijuana in the first place. No stoner in his or her right mind would ever taint the sacrament that is delicious and beautiful marijuana by comparing its synthetic namesake. In all actuality, it is quite possible that the creators of synthetic marijuana provided it with such a name in order to drum up enthusiasm around the otherwise unattractive drug. It is true that by slapping the name "weed" or "marijuana" on anything, you're likely to magnetize the more feral-minded stoners. A word of advice: avoid synthetic marijuana, at least until we know more about it. The dangers of synthetic marijuana are too varied and frequent for people to be throwing caution to the wind. An experimental and curious mind should be valued and encouraged, but when it comes to synthetic marijuana, the inherent danger should be taken into account. Don't listen to the Spice Girls—for now, avoid spicing up your life.